Natrol Natrol High Caffeine 200mg 100 Tablet. Planetary Herbals Codonopsis 750 mg 120 Tablet 120 Tablet. Planetary Herbals Codonopsis 750 mg 60 Tablet 60 Tablet. Planetary Herbals Cordyceps 450 Full Spectrum 450 mg 120 Tablet 120 Tablet. Planetary Herbals Cordyceps 450 Full Spectrum 450 mg 60 Tablet 60 Tablet. Planetary Herbals Ginseng Elixir 844 mg 120 Tablet 120 Tablet. Planetary Herbals Ginseng Elixir 844 mg 60 Tablet 60 Tablet. Planetary Herbals Ginseng Revitalizer 964 mg 180 Tablet 180 Tablet. Planetary Herbals Ginseng Revitalizer 964 mg 42 Tablet 42 Tablet. Planetary Herbals Ginseng Revitalizer 964 mg 90 Tablet 90 Tablet. Planetary Herbals Rehmannia Endurance 637 mg 150 Tablet 150 Tablet. Planetary Herbals Rehmannia Endurance 637 mg 75 Tablet 75 Tablet. Planetary Herbals Rhodiola Rosea Extract Full Spectrum 327 mg 120 Tablet 120 Tablet. Planetary Herbals Rhodiola Rosea Extract Full Spectrum 327 mg 30 Tablet 30 Tablet. Planetary Herbals Rhodiola Rosea Extract Full Spectrum 327 mg 60 Tablet 60 Tablet. Planetary Herbals Schisandra Adrenal Complex 710 mg 120 Tablet 120 Tablet. Planetary Herbals Schisandra Adrenal Complex 710 mg 60 Tablet 60 Tablet. 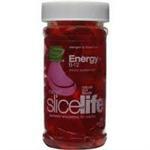 Slice Of Life Energy Boost B12+ Gummies 60 Ct. Source Naturals ChocoLift 500 mg 120 Capsule 120 Capsule. Source Naturals ChocoLift 500 mg 30 Capsule 30 Capsule. Source Naturals ChocoLift 500 mg 60 Capsule 60 Capsule. Source Naturals Enada NADH 5 mg 60 Tablet 60 Tablet. Source Naturals Guarana Energizer 900 mg 100 Tablet 100 Tablet. Source Naturals Guarana Energizer 900 mg 200 Tablet 200 Tablet.